Sridevi passed away in Dubai on 24 February due to cardiac arrest. She has left behind a career of 300 films across languages and genres. Her romantic appeal, impeccable comic timing and glamorous dances demonstrate her versatility. In fond memory of the legendary actress, Firstpost recalls her best roles. Sridevi was cast opposite her seasoned brother-in-law actor Anil Kapoor in Shekhar Kapur's 1987 cult film. But it won't be a stretch to claim that she eclipsed Anil despite having a less meatier role. Whether it was her memorable Charlie Chaplin scene or her soul-stirring dances on 'Kaante Nahi Katate' and 'Hawa Hawai', Sridevi had iconic written all over her. Amidst a galaxy of evergreen stars like Rekha, Madhuri Dixit and Preity Zinta, Sridevi is often considered late filmmaker Yash Chopra's first muse. She displayed her unparalleled skill of showing grief and vulnerability through her eyes when her paralysed fiance (Rishi Kapoor) in Chandni walks away from her. She eventually falls for another man only to be torn between her new lover and her repenting fiance. Sridevi projected this dilemma through multiple scenes of not moving even her hands and just staring into emptiness. Signs of a brilliant actor. Another Yash Chopra film, Sridevi surpassed an altogether different kind of challenge in this romance across generations. She played the double role of the mother and the daughter opposite that of Anil Kapoor. Whether it was the effervescence of the young role or the restraint by the elder one, She conquered them all with consummate ease. With Gauri Shinde's 2012 slice-of-life drama, Sridevi returned to the silver screen after what seemed like an eternity to her fans. But here was a much more unassuming actor all the more confident of her craft but with no tendency to boast of the same. She played a middle-class woman who yearns for self-respect and decides to learn English. 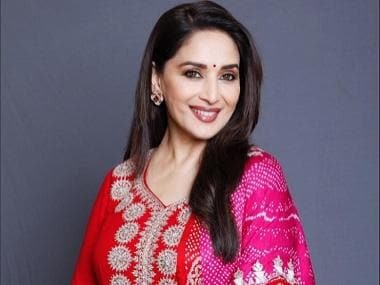 The aplomb with which she announced her return, it almost felt like she never exited the annals of the Hindi film industry. Sridevi's last film is bound to go down as one of her most memorable. By carrying this revenge drama on her shoulders, she proved that she could still give the contemporary actresses a run for their money, if a given a chance to be the face of Hindi cinema decades after her debut.